Where does If I Understood You, Would I Have This Look on My Face? 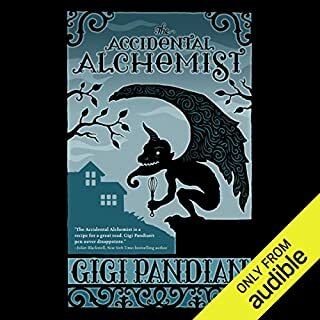 rank among all the audiobooks you’ve listened to so far? This is in my top ten books. 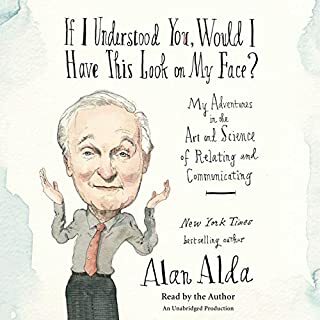 Great flow, incredibly useful info, I love Mr. Alda's narration of his own work, and best of all - the whole narration is an example of the things he's learned and endeavors to impart to the reader. I liked the anecdotes best - by using them Mr. Alda not only demonstrated his point on communicating with them, they helped solidify the lesson into memory. This book would make an interesting documentary! I don't think I'd be able to give it a tag line to do it justice. This is essential listening/reading for anyone who needs to communicate better - in short, all of us. Notably, though, medical professionals who often forget that the people they treat don't have the same medical background they do and who do damage through miscommunication. I also recommend it to anyone on the autistic spectrum or anyone wanting a tool to help someone on the spectrum communicate better. Even Grandma wanted to know what happens next! I usually listen to audiobooks when I drive, and when I have passengers with me who don't mind listening along, I brief them on the story to date and off we go. With this particular book, everyone was upset when we reached our destination and had to turn it off. They wanted to keep listening! 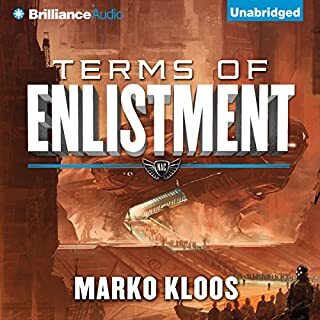 The story is a good, engaging start to an interesting space military sc-fi story. I didn't tumble into any plot holes and I never had to stop and question what was happening or the veracity of the characters. I picked up the next book as soon as this one finished. I do have one gripe, and it's with the narrator. Mind you, he does an excellent job and I enjoy his sound. It's the way he does the female voices that bothers me. The dialog uses words that come across as gutsy, sometimes teasing, but he almost makes the women sound like fainting southern belles. It wasn't enough to trip me up, but those were the only times throughout the book that the little editor in my mind reworked something. I would recommend this to a friend if I knew they liked characters with emotional stutters, the way I would recommend sub-par junk food to a friend who would eat anything as long as it was junk food. The main character stayed on step one of her emotional development through the entire thing, and any time the subject was brought up, she just repeated herself. There was a lot of repetition, from the tea to the "I'm a vegan and you're a vegan and everyone's a vegan!" to the same level of worry over the gargoyle no matter how bad he got. Nothing changed. What three words best describe Julia Motyka’s voice? I can't describe it in just three words so I'll describe it in three points. It was strangely flirty at the wrong times - when meeting the older tea shop owner, for example. The scene was written normally, but the narrator made it sound like the two women were coming on to each other. The reading also lacked proper emphasis - not enough here, too much over there, as though the narrator didn't know how to emotionally react to a variety of normal and extraordinary circumstances. Something was off about the voices of the teenagers, as well. She read with a smile. Through the whole damned thing. You know when you're on the phone with someone and you can hear them smiling when they speak? Exactly like that, no matter what was happening in the story. Making a smoothie? Smiling. Teenager breaking in? Smiling. Murder mystery? Smiling. Can't find the book and worrying about a living gargoyle being bound, sentient, in stone forever? Of course, read with a smile. As it is, no. Not a chance. This book is the written equivalent of those cheesy Hallmark movies on daytime t.v. I was almost tempted to buy the last book in the series to see if Dorian is saved because I love the little scamp. He's the only good thing dwelling between these pages. But reviews are not the greatest for either of the next two books, so I'm abandoning this series. I feel that if I read a spoiler somewhere that says he is or isn't saved, that will be enough for me. Simon, with his hobbies and ever-ready hatchet was my favourite. I don't think the book could have been the same without him! He was an entertaining character. What about Drew Campbell’s performance did you like? Mr. Drew read with such... affectedness! It was such a scream! It gave resonance to the sparkly, self-important vampires with their rules and dress codes and perfectly symmetrical faces. He also kept the voices straightly organised and never missed a beat when switching from character to character. Our narrator for this story gave absolutely everything inflection and I felt it worked marvelously. Certain parts I realized I would have read differently had it been the voice in my head, but both ways are equally funny. If you could rename An Unattractive Vampire, what would you call it? 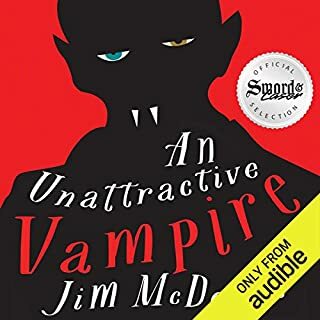 I highly recommend this book for anyone interested in light-hearted vampire humour, for anyone needing entertainment without emotional investment. I thoroughly enjoyed it on my commute. It was brightly told and brightly read. That being said, I do have a gripe or two. One being Doctor Lord Whatshisname's action at the end. It didn't come with any explanation. I have a good guess that's probably right on the money, but I didn't like the way it wasn't written in. The other is about Simon. Everyone seemed to get something or change a little except for Simon. He remained his usual quirky self. I would have been happier to read that he at least experienced some joy at what he and our main Undead now seem to make their hobby. He could have had a bit more depth of character if there'd been some sort of emotional reaction to how things settled at the very end. I feel a bit as though he's Pugsley Addams - an interesting part of the scenery, but part of the scenery none-the-less. 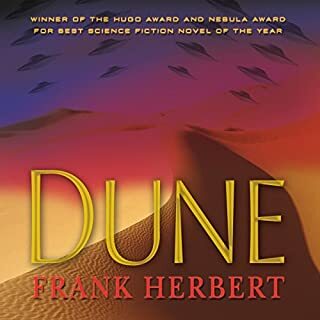 Would you try another book from Frank Herbert and/or the narrators? From the author, maybe one day, though I've read reviews saying the next books in the series are pretty dry. From the main author, yes. I thoroughly enjoyed his voice. I'm returning this book. I just couldn't get into it, and a big part of that was the odd narration. The main narrator was wonderful, and I enjoyed having different people for different characters, but sometimes the main narrator was doing everyone's voices and the sounds and the accents for each character was completely different compared to the other person who would sometimes do the voice. It left me confused several times. I had to keep rewinding to get a better grasp on what was being said. 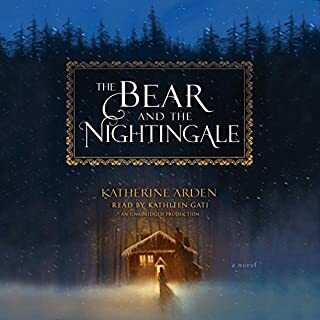 What did you love best about The Bear and the Nightingale? I loved how easy the author made it to step into the cold, dark woods of Norther Russia, how immersive and real the experience was, as though instead of peering into a snowglobe and watching, we were instead in the swirling drifts among the trees, breathing the same air. I also loved Vasilisa's stubbourness, hehe. It would not have been an enjoyable story if she had always done as she'd been told. She's a good female protagonist. I appreciated especially the ending and the choice she made, probably because I wanted the same and would have been heartbroken had it been any different. Vasilisa's brother who stood by her until the end was my favourite. :D I admire his bravery and loyalty. It brought a feeling of comfort and relief every time he believed in her when everyone else turned away. What does Kathleen Gati bring to the story that you wouldn’t experience if you just read the book? Her voice was low and smooth, velvet like smoke. It was a perfect match to the setting, and to bring to life the creatures that dwelt just beyond the awareness of the woodfolk. She gave the characters voices with emotion that brought to life their faces as they spoke.